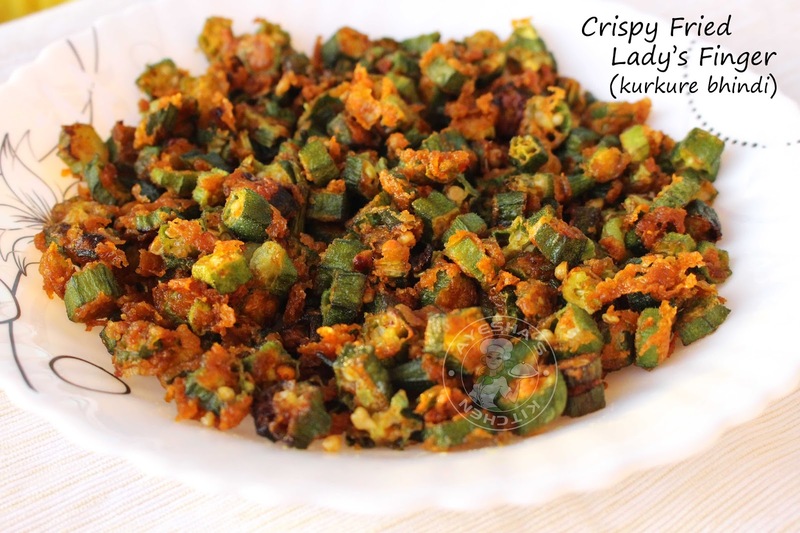 Let's try a delicious and lovely looking crispy lady's finger recipe with step by step pics. Some crispy crunchy veggies along with steamed rice and hot south Indian sambar is quite enough for a scrumptious lunch meal. 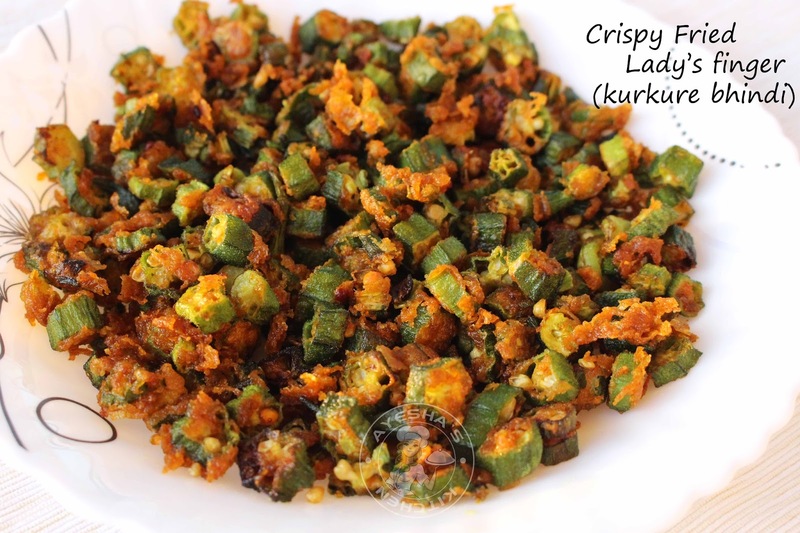 This kurkure recipe for bhindi / crispy okra recipe is an easiest Indian recipe that can be used as a snack or as a side dish or a starter. Actually, this fried okra recipe is a snack like recipe which tastes great with rice and dal, rice and sambar, or even with paratha. Some love to have crispy okra/lady's finger recipe but some want it to be soft and mushy. Anyway, this is my favorite okra recipe even though it is deep fried. 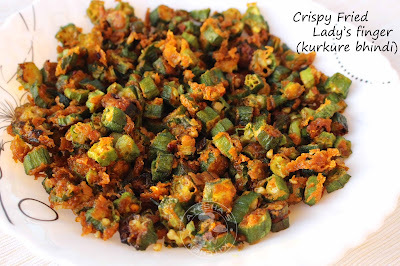 So here is the recipe showing the best-fried okra recipe / easy fried okra / kurkure bhindi / vendakka fry. You can either cut bhindi / lady finger into lengthwise or make small round slices. Keep it in a bowl. To this, add chili powder, coriander powder, turmeric powder, vinegar, rice powder, all-purpose flour(maida) / gram flour and salt. Then add oil and little water to make a fine texture. It will be slightly sticky. Combine it well with the hand gently. Heat oil in a non-stick pan and make flame to medium once hot. Drop the marinated okra/lady's finger into this hot oil and deep fry in batches for 5 minutes over a medium heat. If it becomes crispy and golden, transfer it to a paper towel to absorb the excess oil. Serve along with steamed rice and sambar / Dal. It is yummy.